If you require new windows for your home in Iron Mountain, Michigan, or a surrounding area, look no further than the experts at The Window Store Home Improvement Center. 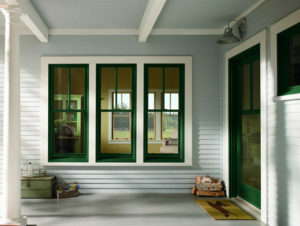 We offer impressive windows from industry leading manufacturers – Sunrise Windows and Andersen. Our products are all made to be highly energy efficient and will work to reduce the hard work your HVAC system is forced to endure during periods of intense heat or cold. However, with our new windows that will no longer be a concern because they are made with a Low-E coating and foam-filled frames that will reduce your home’s internal temperature and may even lead to a reduction in your monthly energy bill. We stand by the work our installers perform so much so that we offer an impressive two-year labor warranty on all of the work we perform. When paired with the outstanding manufacturer warranties available on the individual product you select, you will be able to rest assured your investment remains protected for years to come. To learn more about the new windows we offer to homeowners in Iron Mountain, MI, and the surrounding communities, contact The Window Store Home Improvement Center today. Make sure to ask about the many additional home improvement projects we can complete at your home including gutters, siding, and sunrooms. The windows are excellent, very high quality. They make a big difference in the room..
From initial consultation to final installation, a perfect experience. Installers did a terrific job, thank you!